Do you wake up in the morning condemning yourself? Do you feel like you’re never good enough? 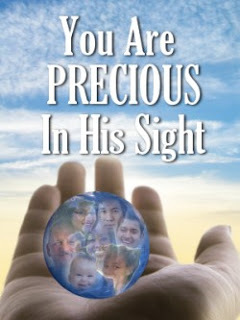 Does it feel like your life has no purpose or value? Jesus knows our pain, fears, and doubts. He cries with us. But He wants us to go beneath the surface to understand what is going on in our hearts that is eating away our confidence and security. He longs to heal those wounded places. He desires that we find our identity in Him, not in all the negative voices that bombard and overwhelm us. 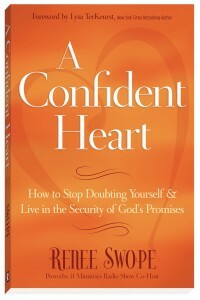 One of my favorite books that has helped me to deal with insecurity and to lean more on how special and valuable I am in Christ is Renee Swope’s A Confident Heart. Powerful scripture-based prayers are at the end of each chapter, along with Bible study questions and a chart with thirty-one different promises to overcome our most common self-doubts. Email Me, and I can post for you anonymously. On September 30, I will announce a winner, so please check back! Thanks for sharing, Curious Daisies. 🙂 I’m so glad you have a sister who believes in you and is confident of your God-given potential. Congratulations on accepting the internship. 🙂 I hope you also gain the courage to tackle Chinese. As always, thanks for the recommendation, Ms. Trudi. Will look for the book. Insecurity has actually kept me from realizing and accepting the love of our God. My own feeling of worthlessness has held me back in so many ways, and it has caused me to calculate the worst rather than expecting, anticipating or hoping for God’s best. Thank you for sharing, Kelly. Renee’s book helped me so much in this area. I hope and pray God will give you more confidence in Christ and that you will be able to fly more freely!